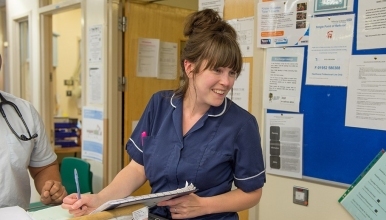 An exciting opportunity has arisen for an enthusiastic and motivated Band 6 Sister/Charge Nurse to support the Band 7 and team of nursing staff within Ophthalmology/ENT OPD at The Royal Shrewsbury Hospital in a seconded position until end of March 2019. You must be an experienced RGN with two Years Ophthalmology Experience post registration with the Ophthalmology and Mentorship Course's and be able to lead and assess the work of the nursing team building upon your own clinical and managerial experience. The successful candidate will be able to role model continuous professional behaviour and demonstrate through personal behaviour the core values of the Trust. They will be able to evidence an enthusiastic approachable and friendly manner towards patients, nursing and multidisciplinary team. You must possess excellent communication and interpersonal skills, you will have a proactive management style, anticipating and dealing with issues constructively within the multidisciplinary team setting. You must be flexible in your approach to the role and respond appropriately to the demands of an ever changing workload.